Whitney Murray - Why Am I Me? 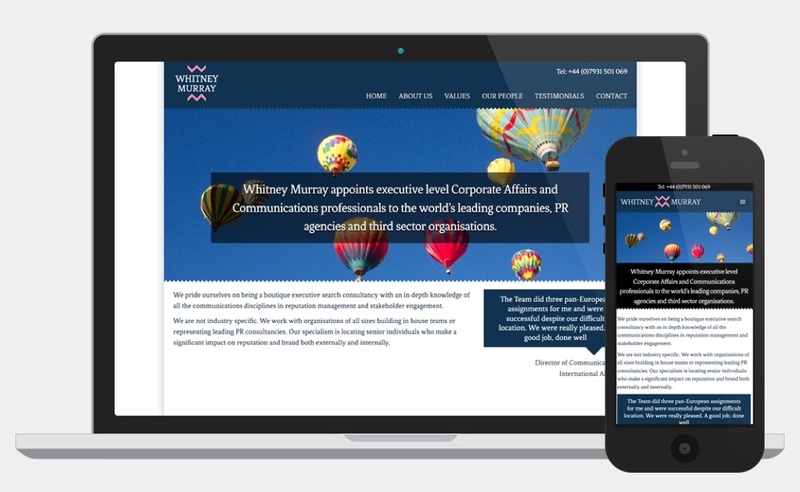 A new responsive web design and build with CMS integration and logo design for executive search consultancy Whitney Murray . The client was open to ideas about the form of the logo, but expressed a preference for a blue and pink colour scheme. I was initially inspired by the sculptor Eduardo Chillida and used abstracted forms of the company initials alongside the name in the Fenix typeface. The name Whitney Murray is taken from the company MD Rebecca Whitney, using her maiden and married surnames, so I decided on using a transparent overlay where the initials overlap to reflect their relationship. The client was actually very keen on this design but felt it wasn’t quite serious enough and perhaps slightly unconventional for their field. With feedback from the client I embarked on another design. They liked the colours of the initial design but wanted to see a variation on the blue and the pink for comparison. The new logo is very angular and was designed to have more authority than the initial design. The client wanted something in between the first and second designs, so we reverted back to the original colours as well as the vertically aligned initials from the original logo and combined it with the more angular forms of the second design. I also felt that the font should be uppercase in this particular configuration and the client agreed.